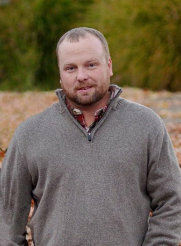 Funeral services for Andrew P. Hawkins, 38, West Plains, Missouri, will be held at 2:00 p.m., Thursday, April 4, 2019 at the Langston Street Chapel of Robertson-Drago Funeral Home. Mr. Hawkins passed away at 8:50 a.m., Monday, April 1, 2019 at his home. He was born January 16, 1981, at West Plains, Missouri, to James Hawkins, Jr. and Kathleen Jean “Kathy” Collins Hawkins. He graduated from West Plains High School with the Class of 2000 and attended college in West Plains and Springfield. Andrew worked as a sports coordinator for the City of West Plains. He enjoyed playing golf, hunting, fishing, horse races and gardening. He is survived by his parents, Jim and Karen Hawkins; grandmother, Bonnie Hawkins; three brothers, Michael Hawkins, David Hawkins and wife, Lynetta and Todd Hawkins; four sisters, Jo Beth Collins and husband, Chad, Amy Hawkins, J.J. Corman and husband, Scott and Mandy Pender; aunts and uncles, Jack and Judy Hawkins, Edward Hawkins, Larry and Carolyn Warden and Connie and Jim Davidson; many nieces and nephews; and special friends, Caleb and Sheray Willard, Evan Juline, Barry Cox, Adam and Mindy Williams, Josh and Lauren Mahan and Jimmy and Lisa Harper. His mother, grandparents, Floyd and Opal Collins and Hank Hawkins and one aunt, Mickey Hawkins, preceded him in death. Visitation will be held from 6:00 until 8:00 p.m., Wednesday, at the Langston Street Chapel of Robertson-Drago Funeral Home. Burial will be in the Oak Lawn Cemetery. Memorial contributions may be made to OMC Foundation and may be left at Robertson-Drago Funeral Home. Our deepest sympathy to you and your family upon the loss of Andrew. All of you will be in our thoughts and prayers. May God encourage, support, and comfort all of you thru this difficult time. May God bless all of you. We are so sad to hear of Andy’s passing. You are in our thoughts and prayers. Jim, Karen I am so sorry for your loss. May God’s peace and comfort be with each day as you deal with Andy’s loss. I knew him as a sweet and caring student. Bless your extended family and friends as they endure the days ahead. God bless. So sorry for your loss, our thoughts and prayers to all the family. To the Hawkins family and friends; we are so very sorry for your loss and want you to know that you are in our prayers. Jim, it is hard to imagine what you and Karen are going through at this moment in time. Nothing said can make it better. Just know that myself and all our golfing buddies thoughts and prayers are with you. When I think of Andy, I have the fond memories of when you and Andy and Danny and I played golf together down at Cooper’s Hawk in Melbourne. Just know that everyone is thinking of you. I am so sorry to hear of your family loss. I can still remember seeing Andy as baby when I lived down the street from Todd and his baby sitter on Thayer Ave. He was always very nice. My thoughts and prayers are with you. I am very sorry to hear about Andy. I enjoyed developing a friendship with Andy while working for the City, he did a wonderful job for the parks department. This world has lost someone that truly brightened everyone day. My thoughts and prayers are with all the Hawkins family.